There are 57 days to 2014. That’s right. Only 57 days left till the beginning of the new year. Ah, the new year. When we’ll start working on achieving those goals that we somehow let slip around mid-January this year. The big things we had planned to get done in 2013. All those changes we were going to make but never did. 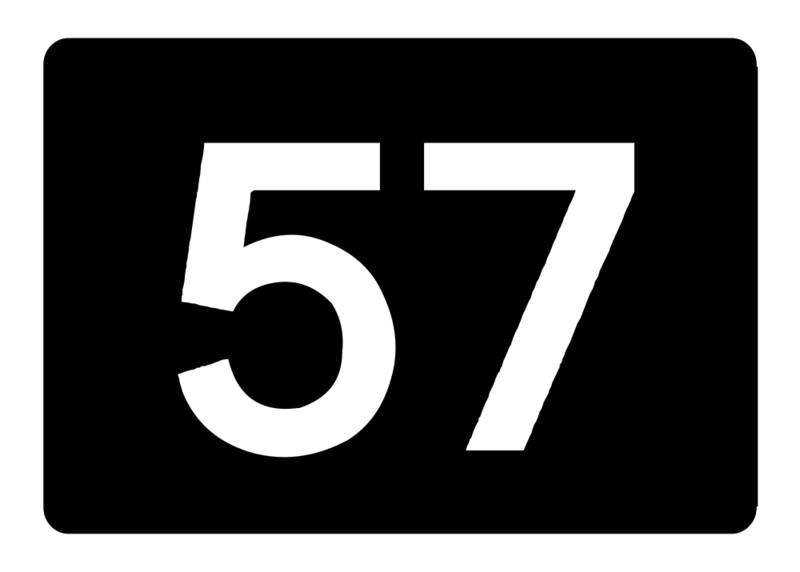 You know what’s special about the number 57? The reality is that it’s an arbitary number. Even the first of January is, in reality, an arbitary day. The fact of the matter is, the best time to start working on all those things is today. Just start. Today. However, as humans we tend to like clean starts, and the beginning of a new year feels like a good point to recalibrate and start again. So you know what’s really special about the next 57 days? It’s enough time to reflect, assess, set goals and commit. Stop and think about what you really want. Perhaps you might want to get all spiritual and ponder the meaning of life and your place in the universe. If you’ve already done that and it’s all clear to you, perhaps you can think about what makes you happy. Maybe its your family, your health, your work, or the windowsill herb garden you’re growing. As Stephen Covey put it, is your ladder against the right wall? Now that you know what makes you happy, take stock of how much time and effort you currently put into it. Do you spend your days working towards it? Are your actions aligned to your values? If the answer is no, then … well … perhaps you might want to think about making some changes. You might decide that the timing is wrong or you’ve got other things going on, but that just means you actually value those other things more. All the literature and NLP techniques talk about this being the single most important factor to achieve success, but strangely enough, lots of people don’t take the time to do it. That, or they do it rather poorly. Here are a couple of ideas that should help. A BHAG (pronounced bee-hag) is a Big, Hairy Audacious Goal. BHAGs are most commonly associated with business visions, missions and strategies, but I’ve found them to be a great personal tool as well. Let your imagination run wild. Go large. Just make sure it’s somewhat associated with reality. Specific: Not vague. Your goal can’t be to just get better or to lose weight or be smarter. Measurable: Quantifiable. You need to be able to put objective metrics in place to figure out whether you’ve making headway or not. Attainable: Has to be realistic. This is the reality-check component of a goal. Time-bound: The goal has to have a time frame to it, otherwise it just keeps going on and eventually falling by the wayside. This also helps to size goals. Big ones might take years, small ones only days. If you think about the two goal setting tools above, they are examples of divergent and convergent thinking. The BHAG makes you think big and go wide, while the SMART goals make you focus. Iterating through them a few times will get you to a point where you have one or more BHAGs which translate into SMART goals. It is one thing to figure out where you are and create goals, and altogether another to commit to them. Just because you have spent the time to drill down and plan out what you’ve going to do doesn’t mean that you have emotionally bought off on the idea of actioning those things. It’s a separate step, and need to be consciously implemented. Also remember that unless you live on an island, committing to goals can (and usually does) require on-boarding other people. This could be your significant other, family, friends, and / or work colleagues who will be impacted by your actions. You will find that some of your goals may actually be unrealistic if you haven’t considered their impact on the other people in your life. While quietly committing to your goals in your mind is great, it’s the public commitment that makes most people stick to them. I don’t necessarily mean public as in broadcasting it to the whole world – although that can also work – but rather to people other than yourself. This public commitment means you tell others that you are focussed on a goal, and you want them to hold you accountable for it. Plenty of time to do this. Reflect. Assess. Set goals. Commit. Get ready. 2014 is coming. You have no excuses. On 1 January, it’s Hammertime. (I know. I went there).